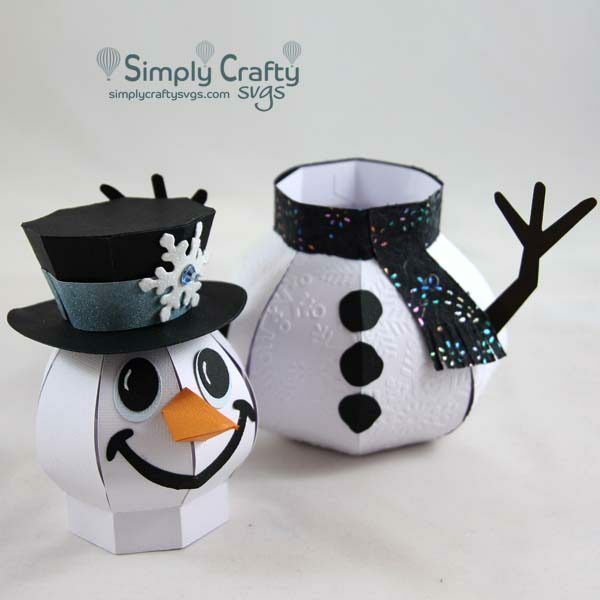 Make this 3D Snowman with the Smiling Snowman SVG File. 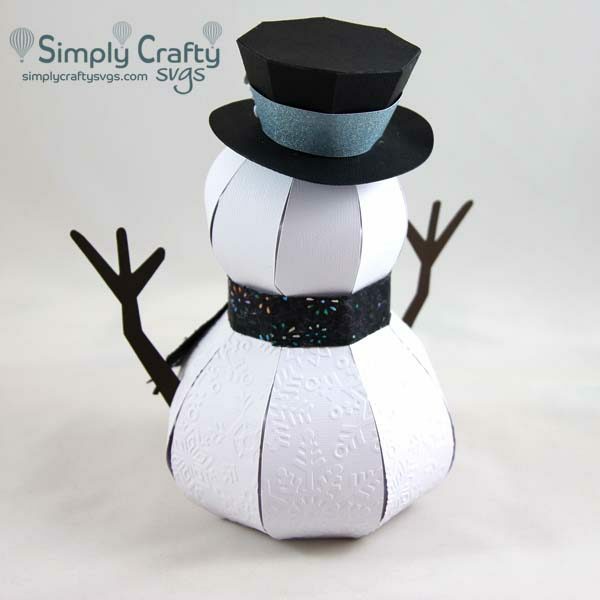 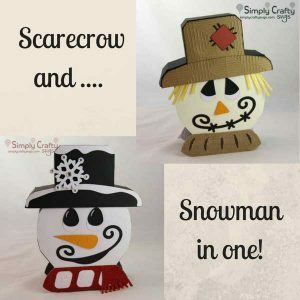 Use this snowman as a Christmas gift, Christmas decoration or Winter decoration. 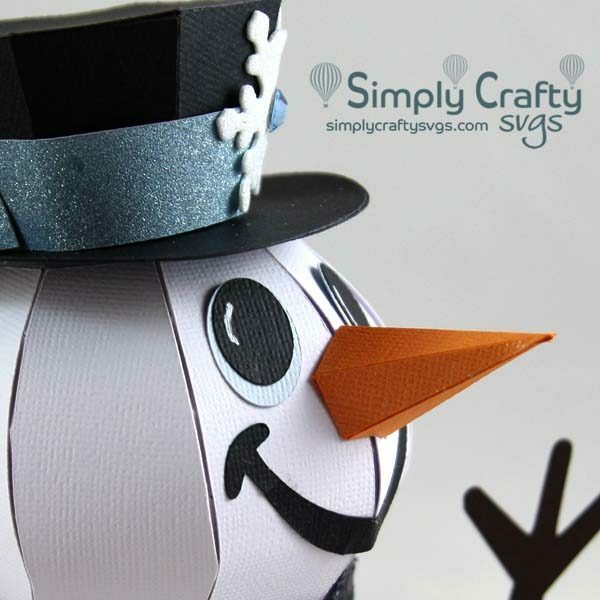 The snowman head is removable. 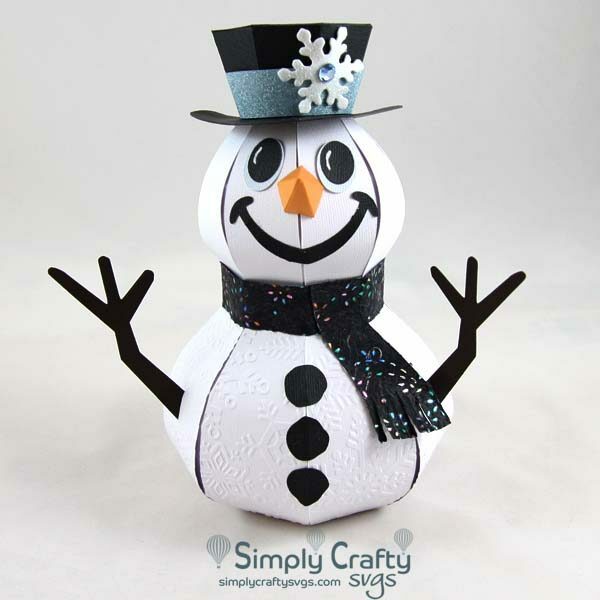 Finished snowman size is 5” x 5” at base and @ 8” tall. 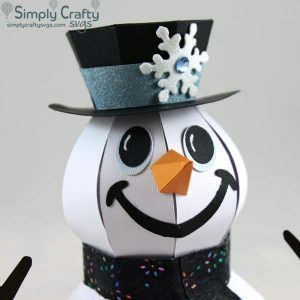 Box without panels requires (2) 12″ x 12″ cardstock sheets, (1) 12″ x 12″ cardstock sheet is needed for the hat, and (2) 12″ x 12″ cardstock sheets are needed for the panels. Smaller paper can be used for embellishments. 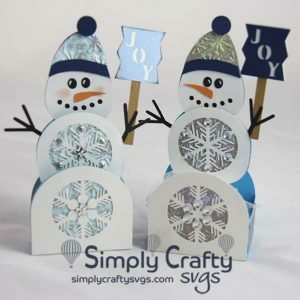 Both box and panels are letter-size compatible sizes.